Randwick City Council is committed to providing safe and smooth footpaths across our City to make it easier to walk where you need to go. Footpaths connect suburbs, shops, destinations and homes and we know how important they are for everybody – particularly for older residents, parents with prams or those in wheelchairs. There are 1,057,000 square metres of footpaths within Randwick City that Council is responsible for maintaining. Between 2003 and 2013 we focused on building a footpath on at least one side of every road in Randwick City. After 10 years of hard work, we're proud to have achieved this goal providing a continuous walking network throughout the eastern suburbs. The condition of footpaths across Randwick City is generally very good due to Council's ongoing disciplined approach to repairing and upgrading footpaths. 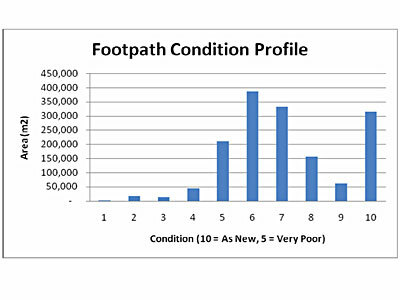 Council uses a sophisticated Footpath Asset Management Plan (pdf 1.51MB) to help keep track of the condition of our footpaths and to prioritise upgrades or repairs. Footpaths in highly trafficked commercial areas are scheduled for upgrade more often than those in quieter, residential areas. Council uses feedback and requests from local residents to help schedule and prioritise footpath upgrades and repairs. 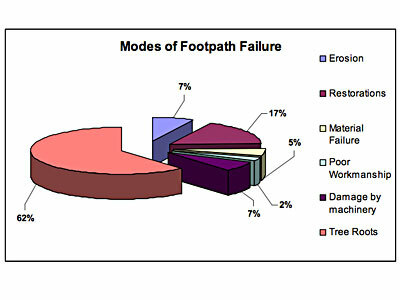 Uneven footpath services due to wear and tear, erosion or tree roots are inspected and repaired to reduce trip hazards. Each year Council allocates approximately $2 million in our capital works program to replace or repair footpaths. Footpaths are chosen for repair or replacement following consultation with the community as part of the Budget and Operational Plan community consultation during May each year. Our residents are our eyes on the street. Should you see a footpath that looks like it needs repair or complete replacement, we encourage you to contact Council so that we can investigate and repair it or schedule it in future works programs.